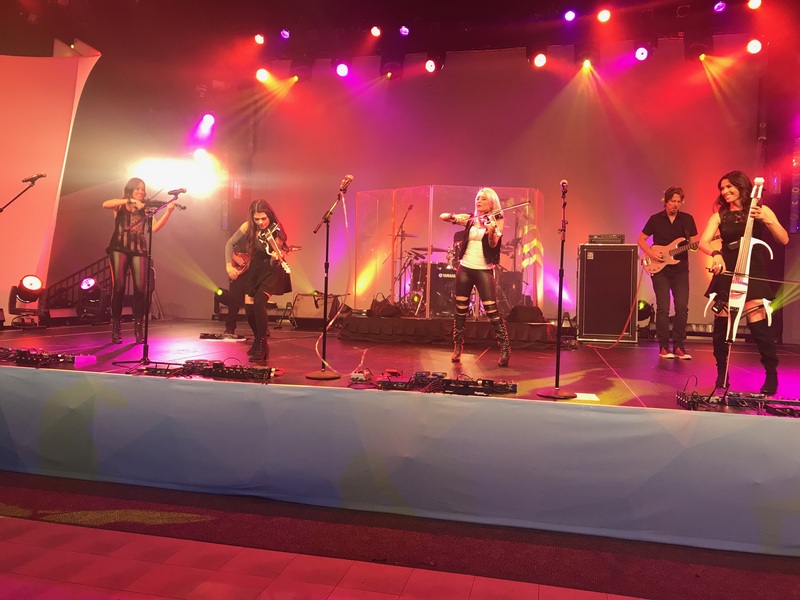 On October 13th Femmes of Rock performed at The Walt Disney World resort. What an incredible experience! We stayed at the animal kingdom hotel, and it was amazing. If you looked out your room window, you saw little elephants. How cool is that? It was my first time at Disney World and I felt like a kid again. 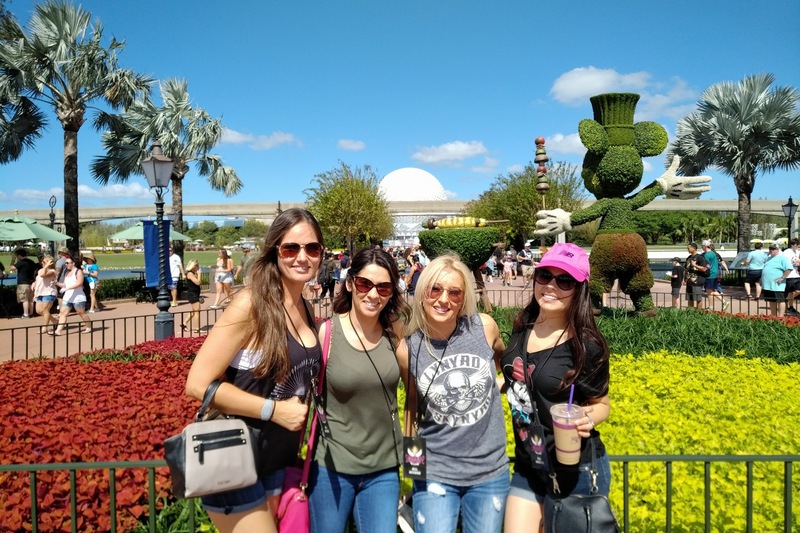 The day of the show we had a little down time to go experience a couple of rides and explore the beauty of a Disney World. It was unreal. One of my favorite rides was “Flying Over the World”. It was gorgeous. With the smell of earth, wind, rain, I really felt like I had wings. And the images were breath taking! What an experience. After that we had a sound check and before you knew it, the show was about to start for the Food and Wine Festival. Nina, Christina, Carissa and I played first set in long silver sequin gowns; a pretty low key dinner set. Even though it was a dinner set, people still listened and acknowledged us. After that we had a little break and than we played a second set as Femmes of Rock with the full band. And it was all about rocking it out. Everyone was dancing, and signing, just having a great time. For us Femmes, nothing beats when people are having a great time while we are playing. And that’s exactly what we are doing; having an amazing time on the stage along with our audience. I feel so lucky to be part of this group. These girls are not just incredible musicians, but also great friends. We laugh together, we cry together. Femmes of Rock is a family.